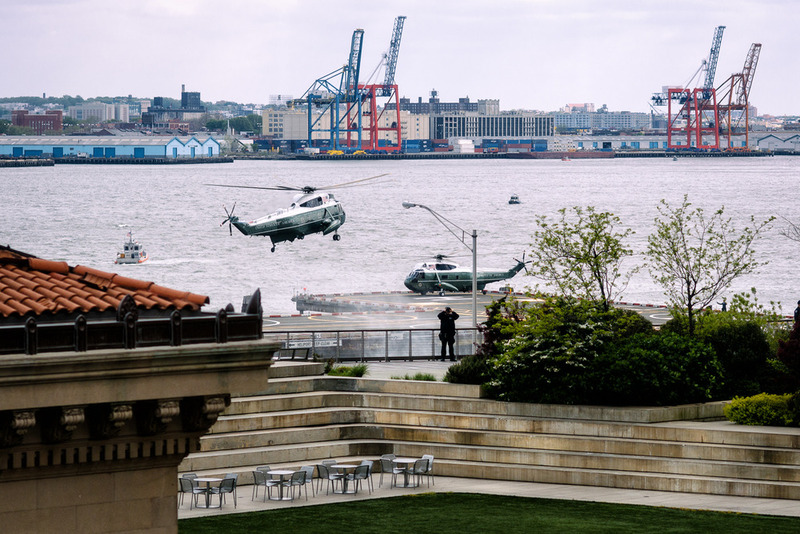 Was able to get a shot of Marine One coming in for a landing this afternoon from the Arup office. I unfortunately didn't have a telephoto lens with me but sometimes you just have to make the best with what you have. Even though I was taking the pictures from behind a window the secret service agent shown in the picture above was giving me the stare down through his binocolars.